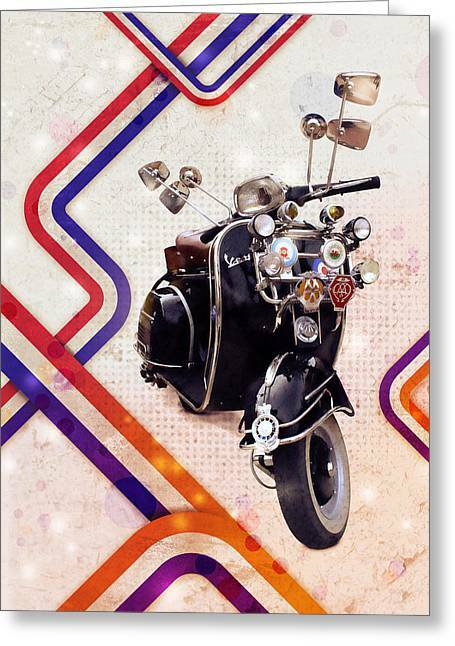 Vespa Mod Scooter is a piece of digital artwork by Michael Tompsett which was uploaded on October 6th, 2010. Vespa Scooter, retro design with Mod styling. 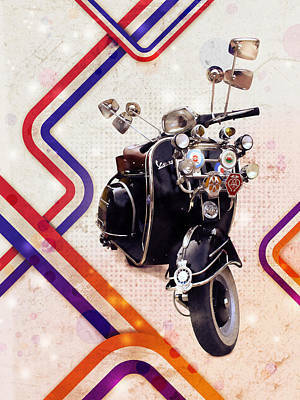 Italian scooters, such as Vespa and Lambretta, were key elements in Mod culture. 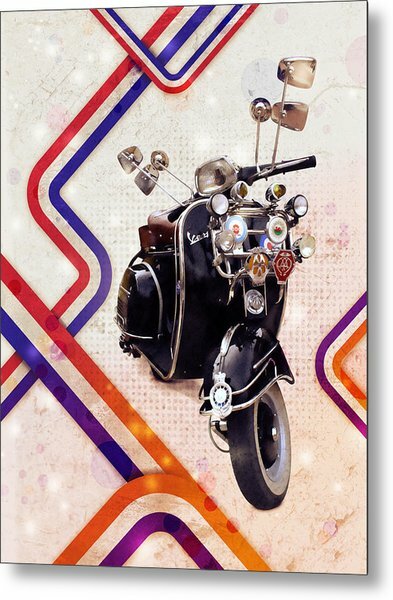 Scooters provided inexpensive transportation and in Mod culture they were treated as a fashion accessory. 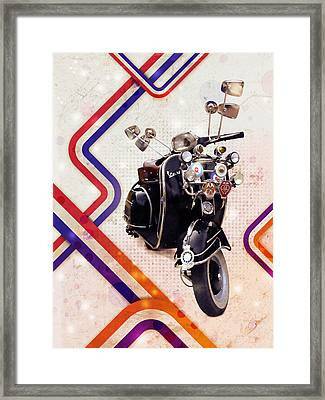 Vespas and Lambrettas were preferred due to their stylish design and gleaming chrome. Many Vespa Scooters were customised with scores of mirrors, horms and fog lights. The Mod subculture (Mod, derived from Modernist) originated in London, England in the late 1950s and was popular for over a decade. There was a Mod revival in the late 1970s, and again in the early 1980s in North America, driven from Southern California. This Vespa Mod Pop Art print is available as a poster, fine art print and canvas print.